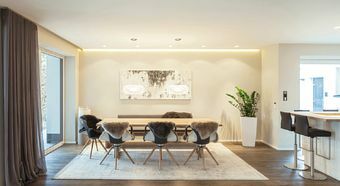 The detached house in Dortmund impresses with its simple elegance. 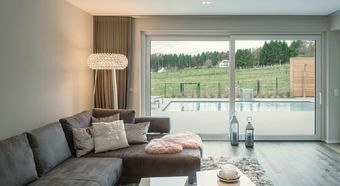 Large glass areas let lots of light enter the house and provide a direct view of the pool from the living room. 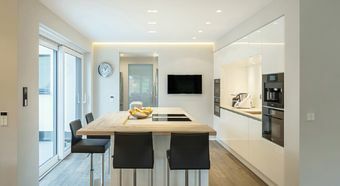 Kitchen, eating area and living room are arranged in a large, L-shaped space. 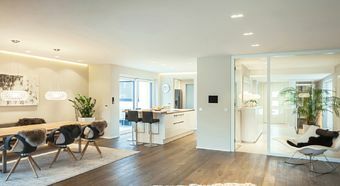 A dark wooden floor makes an attractive contrast to the light walls. 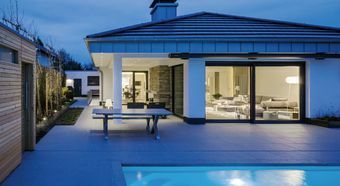 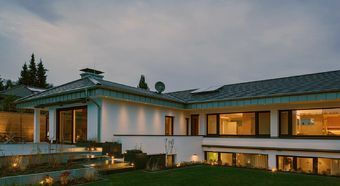 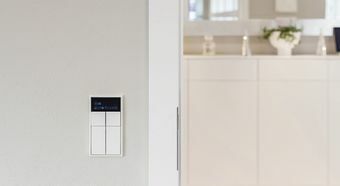 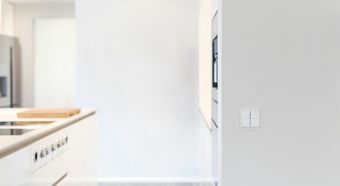 The electrical installation by JUNG blends in harmoniously with the overall design and connects all technical functions such as lighting, shade and heating control with the KNX system. 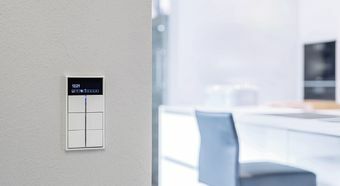 The door intercom system with video function from JUNG provides security for the residents. 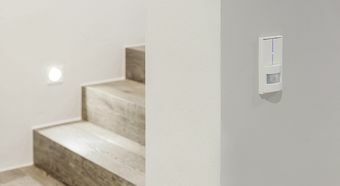 The electrical installation is maintained in the classic LS 990 switch design. 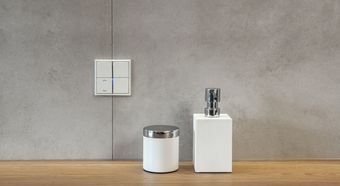 In pure white, it sets clear, puristic accents. 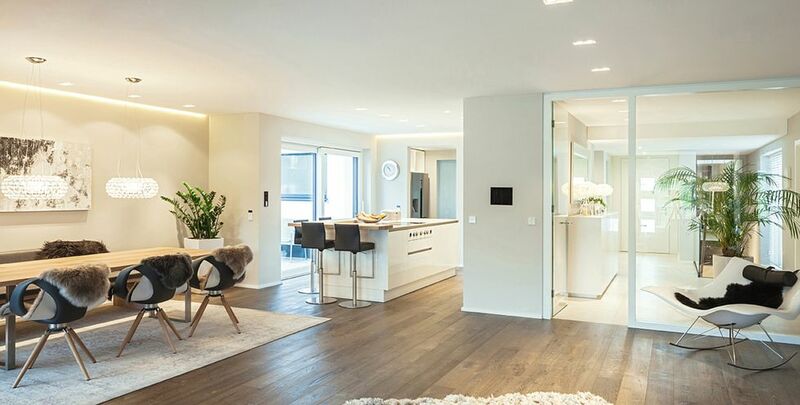 With its high quality and clear shape, the LS 990 switch range has proved its worth for almost 50 years. 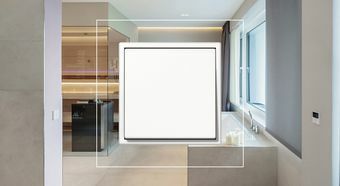 DCM video indoor station Large variety of features: Hands-free talking, opening the entrance door, moving the screen section – the touchscreen of the video indoor station provides intuitive and convenient system operation.